Do you have a generator rental plan? Hurricane season is officially underway. While no one can be absolutely certain what the season holds, experts are calling for 2017 to be an above average season with 11 to 17 named storms, five to nine hurricanes and two to four major hurricanes possible. It only takes one storm to cause major devastation, and even smaller storms can cause significant damage and power outages lasting days to weeks. The loss of productivity can be devastating if you aren't prepared. Why put your business at risk? 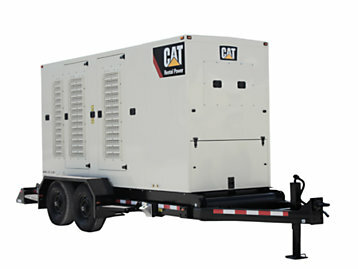 With Cat generator sets, you can trust that your facility will be ready in the event of an unplanned power outage. Ring Power’s team of Power Systems experts can help you prepare for the unpredictable. In addition to one of the most diverse rental equipment fleets in the country featuring heavy equipment, lift trucks, cranes and specialized utility equipment, Ring Power sells and services both new and used generators, as well as all makes and models of the machines you need to prepare for, power through or recover from any storm. Don’t wait until it’s too late. Open an account today and be “rental ready” when the need arises.